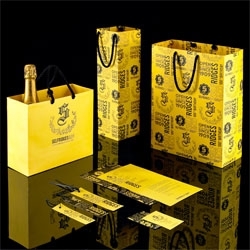 Student packaging project in celebration of Selfridges centenary anniversary by Adam Catterall. 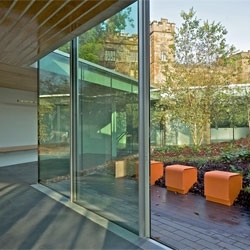 Maggie's Centre, Garnavel Scotland, designed by OMA. 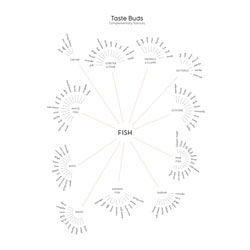 Taste buds, a visualization of complimentary flavours by David McCandless and Willow Tyrer. 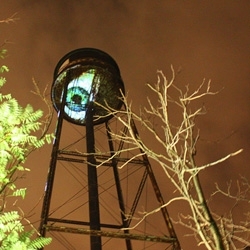 Over 50 light installations and video projections at last night's lively 'Bring To Light' Festival on Brooklyn's waterfront in Greenpoint, NYC. 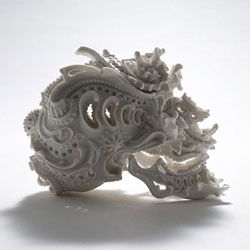 A series of intricate porcelain skulls by Katsuyo Aoki. 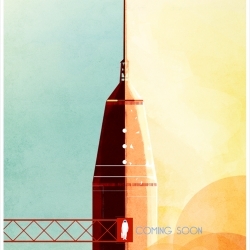 VIDEOCéline Desrumaux worked two years on this stunning, beautiful animated short, Countdown, about a space rocket launch. 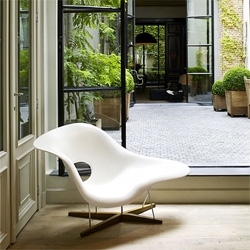 FEATUREDCurrent NOTCOT Obsession: Eames La Chaise 1948. 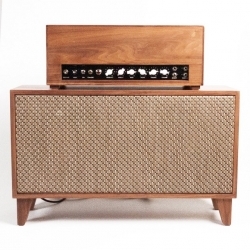 A fiberglass, chrome, and oak icon. 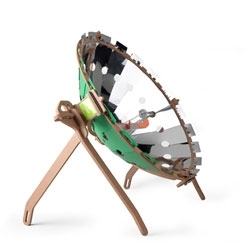 The Solar iD Cook uses a large mirror to concentrate sunlight in order to cook your food. 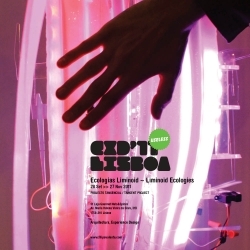 Liminoid Ecologies Exhibition, part of Experimenta Design Bienal 11 Lisbon. From 28th of September to the 27th of November 2011. 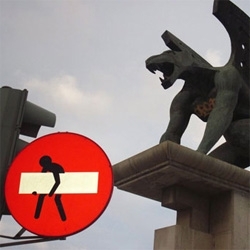 Architecture & Experience Design. 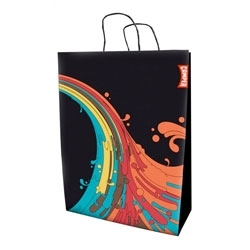 Shopping bags for Camper designed by Swing Swing. 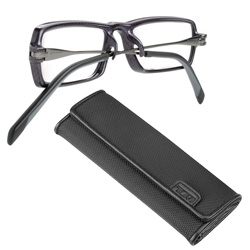 Tumi Traverso Compatto Travel Reading Glasses ~ interesting to see how the arms tuck under the nose pieces to lie super flat. 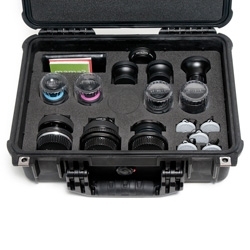 Carbon graphite frame and photochromic lenses that darken on exposure to ultraviolet light. 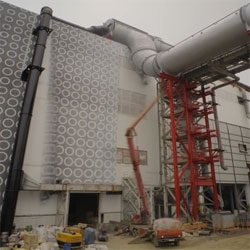 VIDEOSasha Aleksandrov captures the painting of an industrial pipe plant. Incredible time lapse of an impressive transformation. 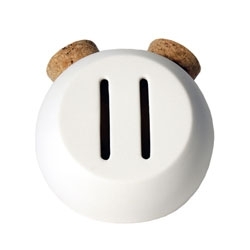 Oink Ceramic Piggy Bank by APR Design Studio. 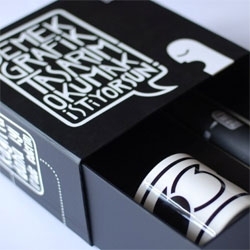 Senem Demirayak's diploma project, a welcoming kit for the freshman students and potential students of Istanbul Marmara University, Graphic Design Department. 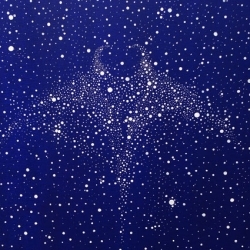 VIDEOThomas Pavitte's 'Transformation Series' of dot-to-dot drawings. 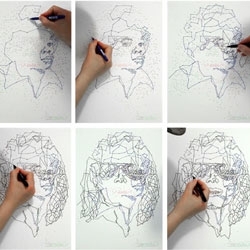 This is the transformation of Michael Jackson. Gazebo created by Arseniy Borisenko and Peter Zaytsev. 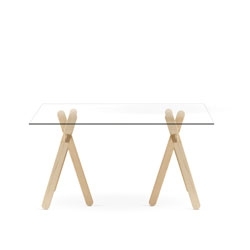 Set of wooden trestles by Aurelien Barbry for Eno Studio. 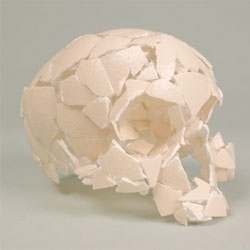 Homo ab ovo, a skull made of eggshells by Christian Gonzenbach. The " wake" collection (by Studio Ubico) was inspired by the wake ceremony; Even though we could not reincarnate scrap timber into trees, (the work is 100% reclaimed timber) our design debates the aspirations for what is beyond us. 'All That's Gold Does Not Glitter' follows Scott Campbell as he works on two signature projects commissioned by Pirelli P Zero. 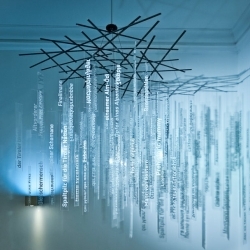 A Design Film Festival 2011 kicks off in Singapore this November with 28 screenings of 15 films on design. Adidas just launched the first intelligent soccer boot. 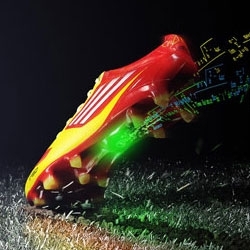 The adizero f50 is powered by miCoach system to track all your performance data on the field of play. 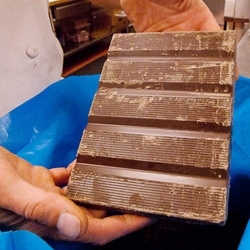 FEATUREDThis Peruvian chocolate was once thought extinct. They managed to bring it back and Montage Deer Valley makes it the centerpiece of their housemade chocolates. 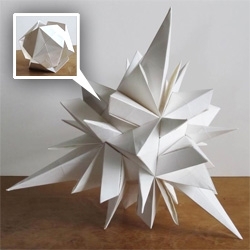 Watch how this shape evolves from an Icosahedron seed... folded out of paper plates from the Whole Movement project exploring circles. 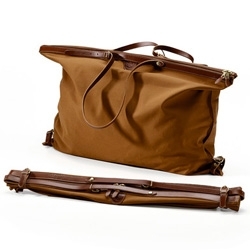 Reisefalttasche Leinen from Manufactum ~ Linen and Leather collapsible bag with brass zip, made in italy. 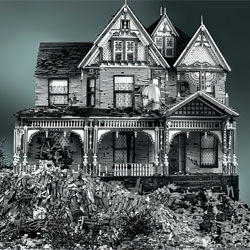 Lego: Victorian on Mud Heap. Impressive Lego creations from Mike Doyle. 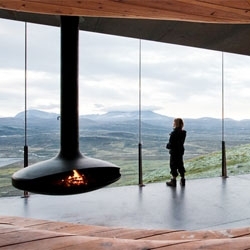 Norwegian Wild Reindeer Centre Pavilion by Snøhetta at Dovrefjell National Park. 'The Evoking Brain Trust' latest work by R.Yuki Agriardi. 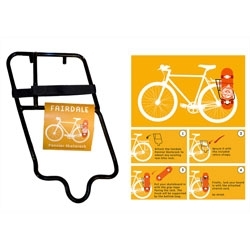 Fairdale Pannier Skaterack allows you to easily take your skateboard with you on bike commutes, while holding it securely over all terrain. 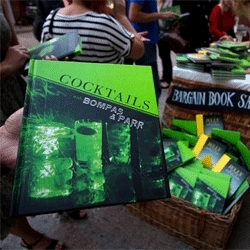 FEATUREDBritish jellymongering duo Bompas & Parr launch a new book on cocktails. We were there to celebrate the launch in eccentric style with a medieval castle, a kiosk of curiosities, glitter snake pit and plenty of cocktails! 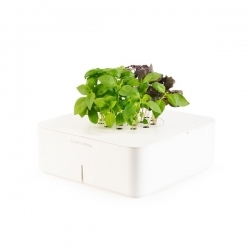 Click and Grow Electronic Flowerpots. The new Rei Kawakubo perfume is described as 'an industrialized flower to go with the glue, an imaginary flower from an unknown civilization'. 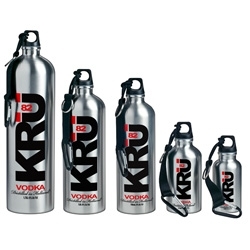 The bottle itself is partially hand blown with recycled materials. Quarterly Co. 'a subscription service for wonderful things' lets you receive physical items in the mail from influential contributors of your choice. 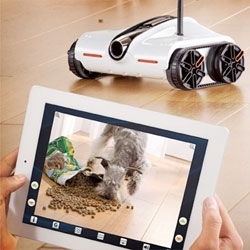 How fun does this Rover App-Controlled Spy Tank look? 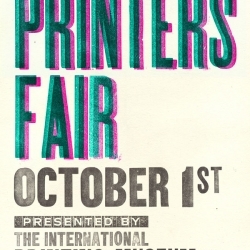 LA Letterpress fans unite - Oct. 1st 9am-5! 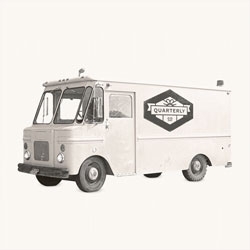 Food, fun, letterpress demos and posters, live screen printing and more! 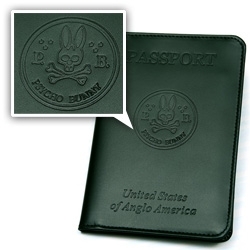 Psycho Bunny by Ettinger - Passport Case - "United States of Anglo America" passport case in bridle leather. Part of a collaborative project between Psycho Bunny and Ettinger of London, who carries a Royal Warrant to HRH the Prince of Wales. 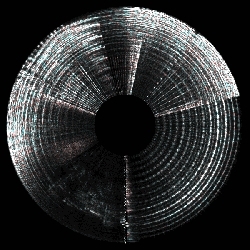 Andrew Ohlmann maps real-time spectrograms to circles. 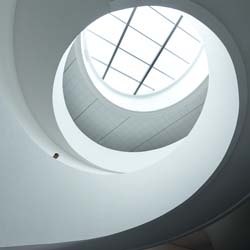 José Campos' brilliant photographs of the new Museum of Liverpool by 3XN. 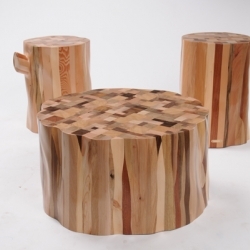 Upcycled Mid Century Furniture by Japanese woodworker Mitz Takahashi. 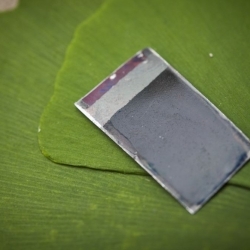 MIT create an artificial leaf that uses solar energy to split water into hydrogen and oxygen. 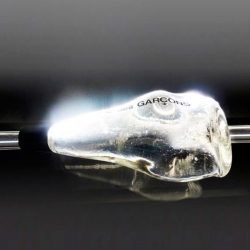 Scaled up it could be a green solution to hydrogen production for fuel cells. This Tokidoki Barbie by Simone Lengo comes with multiple tattoos 'inked' onto her plastic body. 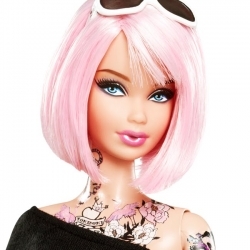 First tattooed barbie. 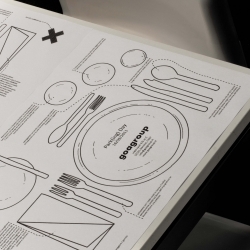 The project focuses on the theme of kitchen with "Kitchen Kit- Behave well in small spaces". Temporary exhibition for the 20 year anniversary of Ötzi, also known as 'Frozen Fritz', the 5000 year old mummy. VIDEOAirstream Living by WEREHAUS. 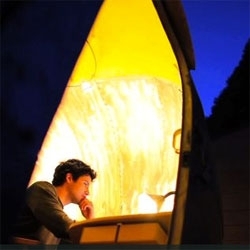 Meet Andreas Stavropoulous, a landscape architect based in Berkeley, CA who bought and converted a 1959 Airstream into a design studio/living space. A tribute to vintage cameras - when they were big, clumsy and speculator. 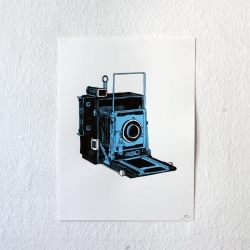 Artist Karl Addison's limited edition screen print.